This is a very enjoyable film to watch and I have given it 4 stars. Brawler tells the story of a NCAA champion wrestler who is imprisoned for 10 years following an unfortunate incident resulting in the death of a police officer. 5.5 Stars out of 5…This is the DVD you have always wished your mum would have let you watch when you still lived at home. This is a recording of live stage show of the two stars of Clerks, Mallrats, Chasing Amy, Dogma, Jay and Silent Bob Strike Back, Clerks II, and various other spin offs. Oh Dear. I have given this film 1.5 stars. The Tall Man was written and directed by Pascal Laugier (House Of Voices, Martyrs). It tells the story of a small town named Cold Rock, whose children are disappearing one by one. Over time, a legend has grown up of a “Tall Man” whom various townsfolk claim to have seen abducting the children. 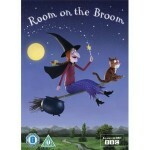 Room On The Broom is an animated short (running time 25 mins), written by Julia Donaldson, illustrated by Axel Scheffler and directed by Max Lang, the same team that brought us The Gruffalo. “How the cat purred and how the witch grinned, as they sat on their broomstick and flew through the wind”. This an amazing film, 5 stars all the way. 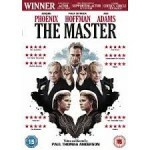 The Master is written and directed by Paul Thomas Anderson (There Will Be Blood, Magnolia) and tells the story of a naval veteran, Freddie Quell (Joaqhin Pheonix – Gladiator, Walk The Line) who returns from his tour of duty uncertain of his place in society, even in the world. For a horror comedy this is not bad, I have given it 3 stars. Stitches tells the story of a down and out clown who performs at a children’s party to a less than receptive audience. As a result of their pranks, tragedy ensues and the clown (Ross Noble – stand up comedian) is unable to complete the party. 4 Stars for a great British flick.